Ever since the Mediterranean Market on High Street closed shop, this space has gone through a bit of an identity crisis. It first transformed in Dos Bros and then changed its name to "Speedys 2." 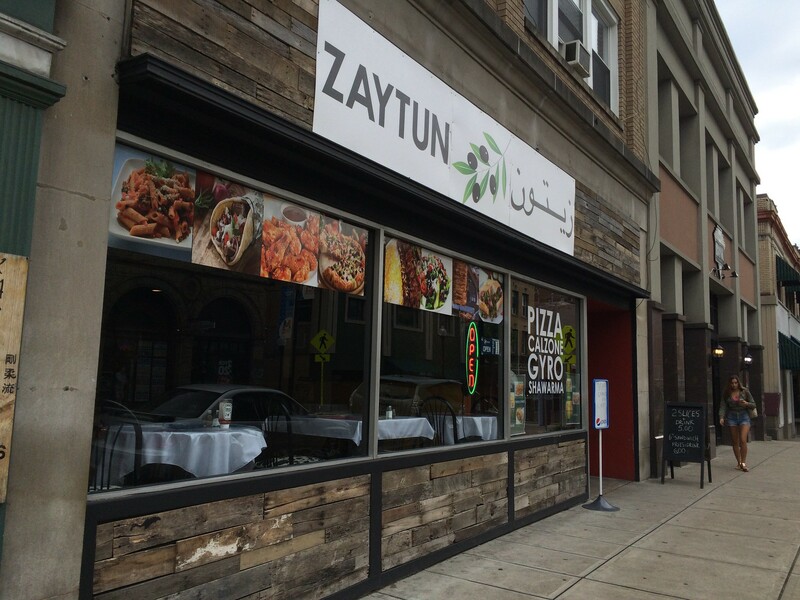 And now, it is Zaytun. 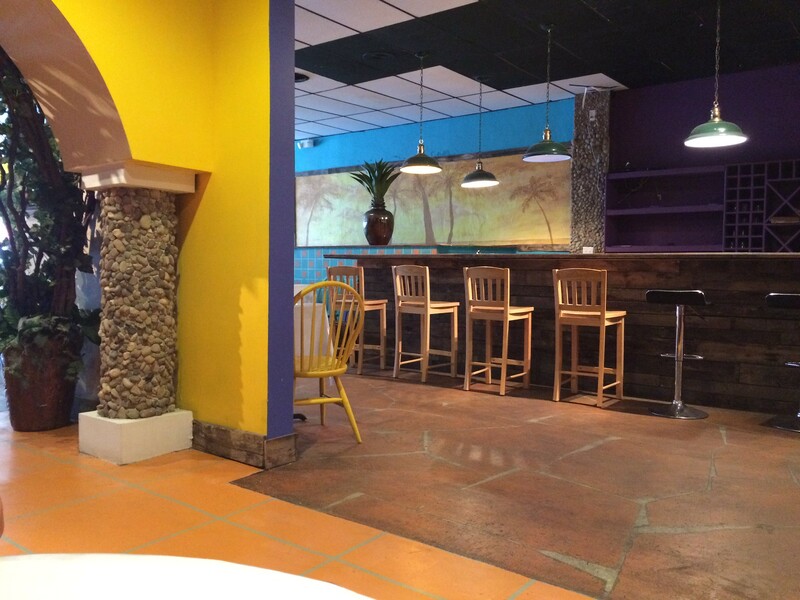 The interior looks like it still belongs to Dos Bros, with brightly painted walls and colorful accents. The bar is a huge focal piece, but it doesn't seem like they use it at all. Instead, go all the way to the back of the restaurant and order at the counter. From their menu, they serve pizza, calzones, gyros, shawarma, sandwiches, pasta and salads. I'm thinking they're going with a "spray and pray" method - try a little of everything, and then there must be something for everyone! To me, this just says kinda confused and unfocused. When figuring out what to order, I asked the man behind the counter if these folks are the same ones who owned the previous restaurants in this space. He said no, not really and that the current owners are folks who used to work at Casa. The pizza connection makes more sense. I wanted to try the Chicago Style "Dip" (?) Dish Pizza, because where else in town can you get a deep (I think that's what they were going for) dish pizza? That's unique on this menu. But you couldn't purchase it in slices. Well. Hell with it, give me a whole one. (I just ate a slice or two and took the rest back to the office. My coworkers benefit from me wanting to try something.) Now, the guy behind the counter warned me this isn't a traditional Chicago deep dish pizza. He said they make a pizza, then they put another pizza on top. So I guess it's kind of more like a calzone. Well, it really is essentially a whole pizza, with just another crust put on top. 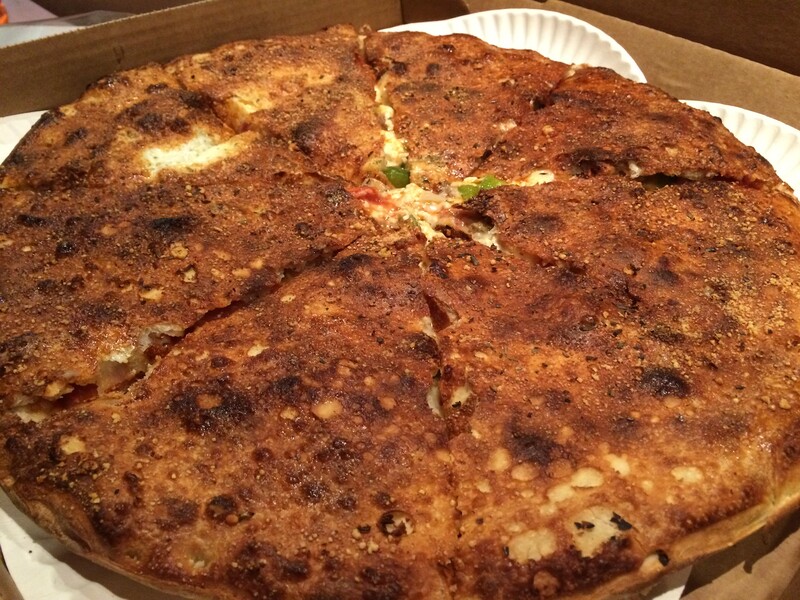 So if you really love the crust part of pizza, you'd probably love this. But who the hell loves the crust part? The sauce and cheese are what I want. And it did have that, plus onions and green peppers and mushrooms. But mostly I could just taste the crust since there was so much of it. It itself isn't really bad. It's not. I just was hoping to have layer upon layer of toppings, instead of this contraption. It's different, so points for that. But would I want it again? Meh.